Na`Vi was the first team to win The International Dota 2 Championships, 2011, held at Cologne, Germany, walking away with a $1,000,000 prize. The team also managed to get through to three International Grand Finals consecutively, a feat unique to them. Professional Dota is an eSport in constant flux. Read Chris Higgins on how Dota 2 has evolved between the International and the Majors. The team is responisible for some of the most memorable moments over the eSport’s short history. However, their fortune seems to have run out. The current team – Dendi, XBOCT, Funn1k, SoNNeikO and PSM – posted disappointing results at the International this year, and they followed that by failing to qualify for the Frankfurt Majors. This lead to Na’Vi deciding to let them go. 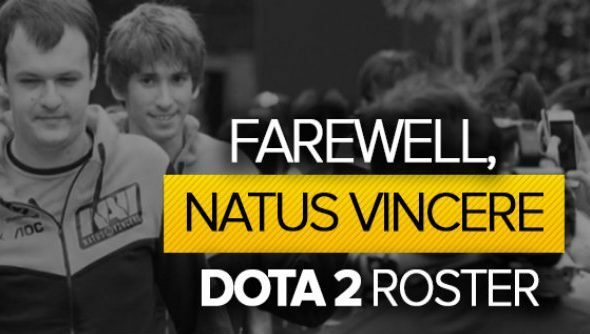 But that won’t be it for Na’Vi in Dota 2. In the next week or so Na’Vi plan to make a few big announcements and to “strike back”. Expect to see some “familiar faces” return to the scene. We will update if we find out more.